A voice is as unique as a fingerprint and that is why an “electronic voice” could help boost network security. 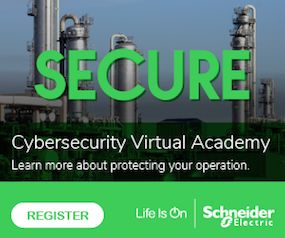 By identifying the voice of devices on electrical grid control networks, it could be possible determine which signals are legitimate and which signals might be from attackers. That approach could end up protecting industrial control systems in oil and gas refineries, manufacturing facilities, wastewater treatment plants and other critical industrial systems. While device fingerprinting isn’t a complete solution in itself, the technique could help address security challenges of the electrical grid and other cyber-physical systems. This isn’t just a theoretical discussion, researchers successfully tested this approach in two electrical substations. 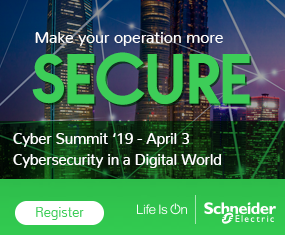 Networked systems controlling the U.S. electrical grid and other industrial systems often lack the ability to run modern encryption and authentication systems, and the legacy systems connected to them never had security designed into them. Because they are distributed around the country, often in remote areas, the systems are also difficult to update via patching. On the electric grid, keeping the power on is a priority, so security can’t cause delays or shutdowns. Beyah, his students, and colleagues in Georgia Tech’s George W. Woodruff School of Mechanical Engineering set out to develop security techniques that take advantage of the unique physical properties of the grid and the consistent type of operations. Another aspect of the work takes advantage of simple physics. Devices such as circuit breakers and electrical protection systems can end up told to open or close remotely, and they then report on the actions taken. The time required to open a breaker or a valve ends up determined by the physical properties of the device. If an acknowledgement arrives too soon after the issued command – less time than it would take for a breaker or valve to open – the security system could suspect spoofing, Beyah said. Talk is cheap. That is why the researchers demonstrated the technique on two electrical substations, and plan to continue refining it until it becomes close to 100 percent accurate. Their current technique addresses the protocol used for more than half of the devices on the electrical grid, and future work will include examining application of the method to other protocols. Because they also include devices with measurable physical properties, Beyah believes the approach could have broad application to securing industrial control systems used in manufacturing, oil and gas refining, wastewater treatment and other industries. Beyond industrial controls, the principle could also apply to the Internet of Things (IoT), where the devices being controlled have specific signatures related to switching them on and off.